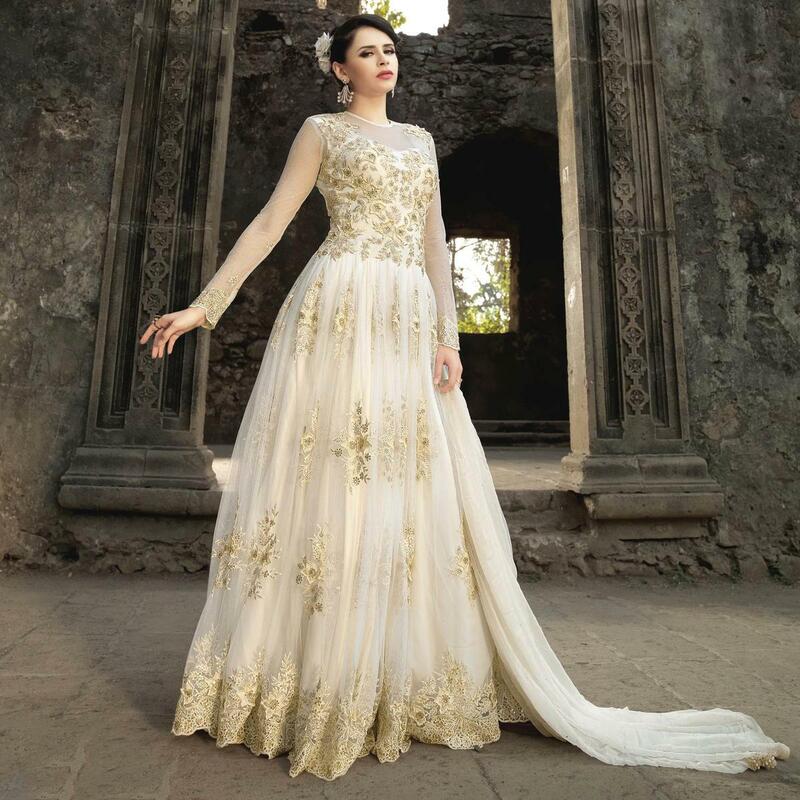 This set is a composition of off-white gown style anarkali in net fabric base with zari coding embroidery & mirror work spread all over. This semi stitched suit also comprises matching color crepe lining santoon bottom and georgette fabric dupatta. 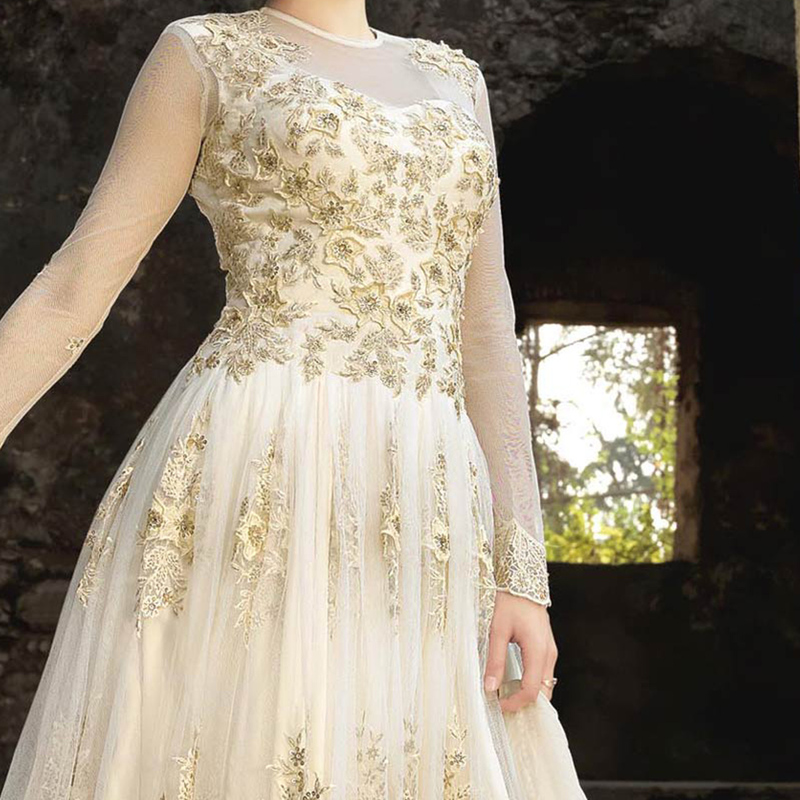 The beautiful neckline design and back at floor length anarkali makes this dress perfect for a modern woman. Specially designed to wear for wedding functions receptions engagement ceremony and family occasions where you want to be center of attraction.